As a means of expanding Co-Lab Project's programming into the digital realm, artist/curator Vladimir Mejia selects artists to participate in an Instagram hosted month-long residency. 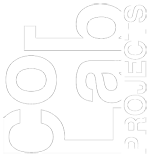 Artists are given full control of the @colabprojectsbitres Instagram account, and all images posted by the artist are categorized by hashtags representing the artist name in residency. Original concept by Sean Ripple. For my fourth appearance in the bitres feed, I will be streaming a new series of video collages made on the fly throughout the month. Similar to the works featured in the video collage made for the lossy process exhibition, the works deal in the language of film and music video and often feature snippets from preexisting media cut with cinematically rich scenes pulled from life. Favoring the irrational and emotional over the ordered and sensible, the work is a dedicated study of crisis and catharsis found in the dead center of a commercially colonized consciousness.